The aim of the Reading Australia initiative is to connect teachers with quality Australian literature. This month we’re highlighting one of the website’s features designed to make it easier for you to find titles and resources relevant to you and your students. 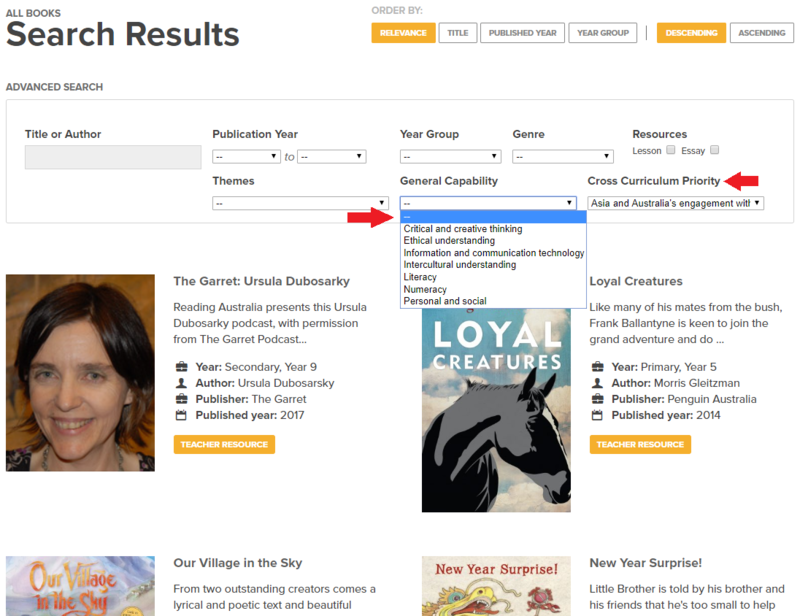 You can make a simple search from the homepage using the search bar in the top right-hand side of the screen by entering keywords, including book titles, author names and themes. If you’re after a more heavy-duty search, then we recommend clicking through to the Advanced Search page. 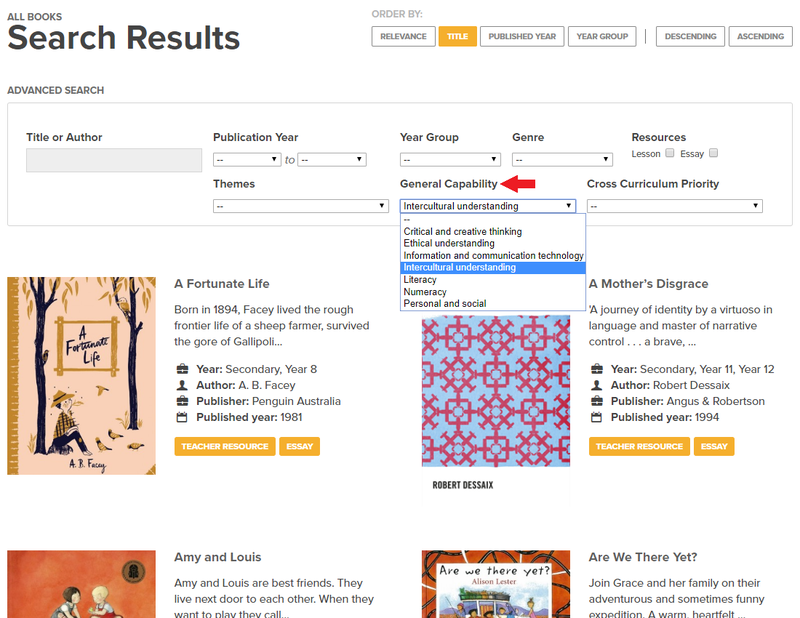 From viewing the screenshot below, you’ll see it’s possible to search by plugging in approximate publication dates, the year level the book is appropriate for (from Foundation to Year 12) and the genre of the book. In this article we’ll be focusing on the three drop-down menus along the bottom of the search box. The first of the drop-down menus allows you to browse resources by theme. Scroll through the available list and select one of over 300 themes to see which resources have been tagged – some popular themes include belonging, friendship and resilience. 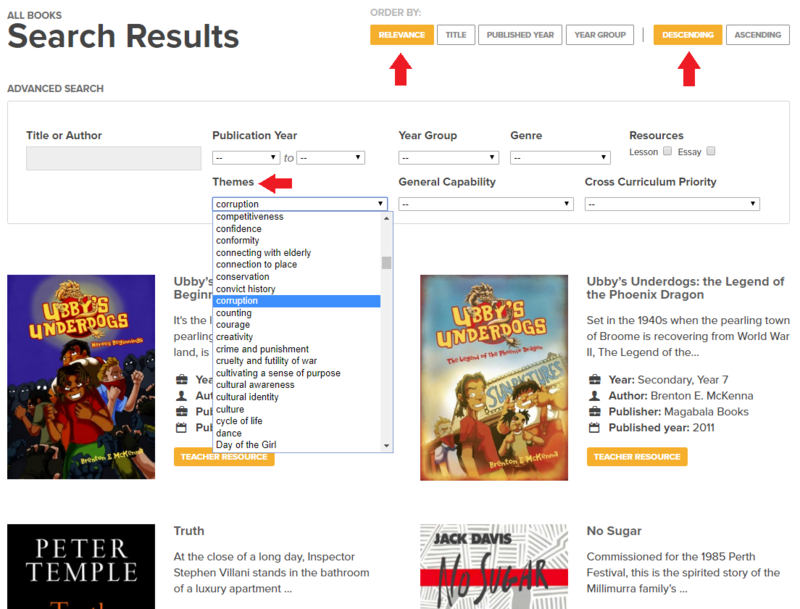 This feature is excellent for discovering related titles to recommend to students or build activities around. Tip: tailor the results to suit your needs by using the ‘Order By’ function available above the search box. You can order results by relevance, title, published year or year group, and decide if you want titles to appear in descending or ascending order. Each Reading Australia resource has been developed to meet the requirements of the Australian Curriculum, including general capabilities and cross-curriculum priorities. You have the ability to refine your search by limiting the results to specific capabilities or priorities. Tip: Remember, when you select a theme, general capability or a cross-curriculum priority, the results will only pull up texts with published resources. Tip: beware being too specific… Refining your search using multiple drop-down menu options can lead to zero results appearing. To de-select an option, click the neutral symbol at the top of any drop-down list (see the image below). If you have any questions, concerns or suggestions, please direct them to the Reading Australia email. We’d be happy to hear from you!